I have written a series of posts on Beyond Here about stock photography, and specifically about micro stock photography. It has been exciting that readers of Beyond Here have opened micro stock photography accounts and are starting to earn an income from their images. One common question from new stock photographers is ‘how does payment from stock photography work?’ My first advice to these photographers is not to worry about downloads and income in the early stages of their stock career, but to focus on building their portfolio. But I understand they still want to know how the payment function works. So here we go. 1, Minimum Payments. 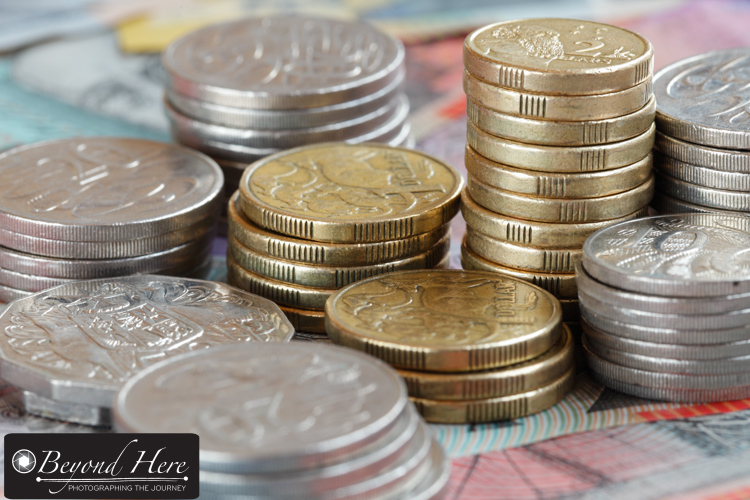 Each micro stock photography site has a minimum payment level. That is the minimum you need to exceed before you can request a payment. I assume this is so that the micro stock sites are not processing thousands and thousands of very small transactions. I am an exclusive contributor at iStock where the minimum payment is USD$100. That means, when your balance from royalties from downloads of your images exceeds USD$100 you can request payment of those funds. Other micro stock sites may have different minimum payment levels. When I was contributing to Shutterstock in 2008 and 2009 the minimum was USD$70. 2. Payment Method. 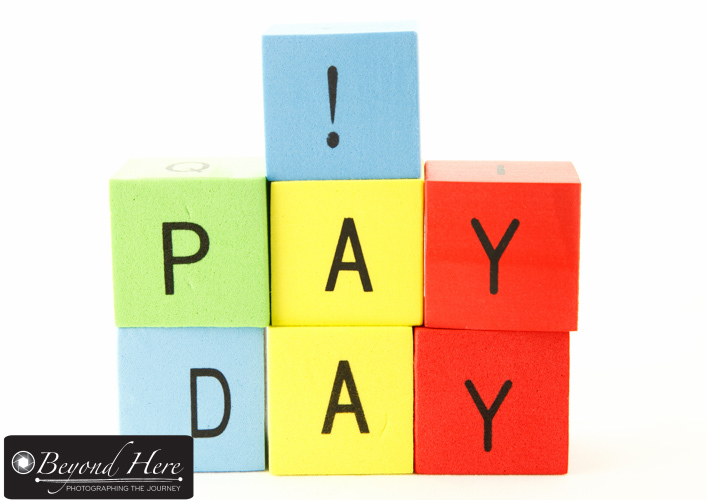 Again, the way that you get paid can vary slightly depending on which site you are using. Using iStock as the example you can currently choose between cheque, Paypal, Skrill, pre paid Mastercard, or direct deposit (for US account holders). I live in Australia and have always used PayPal as my payment method. iStock has a published weekly payment schedule, and the funds appear in my PayPal account within 5 business days from that date. From there I transfer the funds from Paypal to a nominated bank account. It takes a few days to appear in the bank account, but it is a very simple transfer process. 3. Payment Frequency. iStock’s payment terms also outline that you can request only one payment per week. I assume this is so that they are not processing multiple payments to a single contributor. When you are starting out, the USD$100 minimum will seem a long way off. But with persistence it won’t be long until you are requesting a payment every week. The payment process from micro stock sites is straightforward and they are processing thousands of payments each week. You will need to look into what are the payment methods your stock photography site offers, and then set up the appropriate account. For example, if you decide to use Paypal, you will need to set up a Paypal account and link a bank account to it. This is also a straightforward process which can be done online. So if you are starting out in stock photography, don’t be anxious about the payment process – it’s easy. Instead focus on building a portfolio of quality stock images and trust that the downloads and royalties will come in time. Thanks for reading ‘how does payment from stock photography work?’ I hope it has been useful for you. This entry was posted in Stock Photography and tagged iStock, iStockphoto, microstock photography, stock photography on October 30, 2014 by Craig Dingle. I recently started a series on Beyond Here called Great Reads. It gives you a brief over view of some very good photography books. The subject of this post is a book called The Photographers MBA by Sal Cincotta. What is it about? The Photographers MBA states on the front cover “Everything you need to know for your photography business” and Cincotta does an excellent job of doing just that. He finds a very nice balance between telling you his own story, while giving you insight to how to run your own photography business. I found his own story fascinating. While he was exposed to photography at a young age, he had worked a job in corporate America until 2006. Since then his photography business has grown and now has revenues in excess of $1m per annum. Nice work. What can you expect? A practical guide to how to run your photography business better by someone who has done just that. 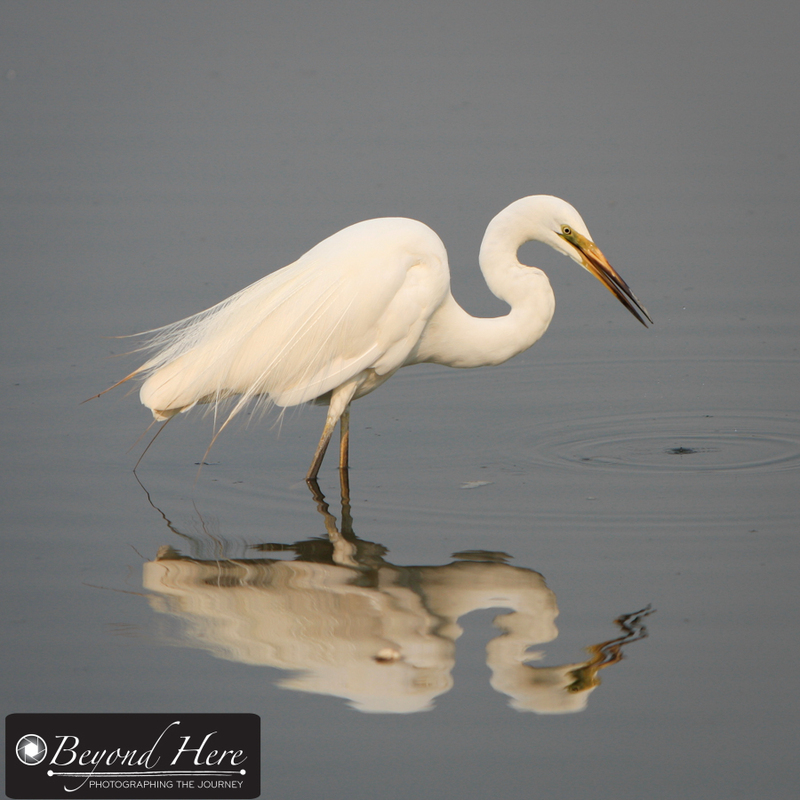 His passion for his images comes through very strongly. I love his approach – rather than compete on lowest price, he will raise his prices and deliver an even better client experience. Fantastic! Outcomes? There is a wealth of practical advice in this book – from how to structure your business, to branding, social media, contracts etc. The one thing that stands out to me from The Photographers MBA is that it is one of the few photography business books I’ve read where the authors passion for his business, art, and clients comes through so strongly. There is a broad range of outstanding images in the book. They are so good, that it took me a while to realize that several of them were from the same wedding. In terms of the specific chapters, I found the sections on branding and social media very useful with things I can immediately implement in my own business. Rating and Recommendation? The Photographers MBA is easy to read, and full of great images. It is divided into logical chapters making it simple to revert to a specific section. This book is a winner! 10 out of 10. Thank you for reading Great Reads – Photographers MBA. This entry was posted in Great Reads on October 29, 2014 by Craig Dingle. After a recent post titled Tips For Your First Photography Job I received a series of emails with questions and comments. It is exciting that there are photographers about to shoot their first paid job! I’ve taken that feedback and put together 7 more tips for your first photography job. There really are an unlimited number of tips. These 7 focus on yourself and your client. I hope they are useful for you. Tip #1 – Keep the Client Informed. 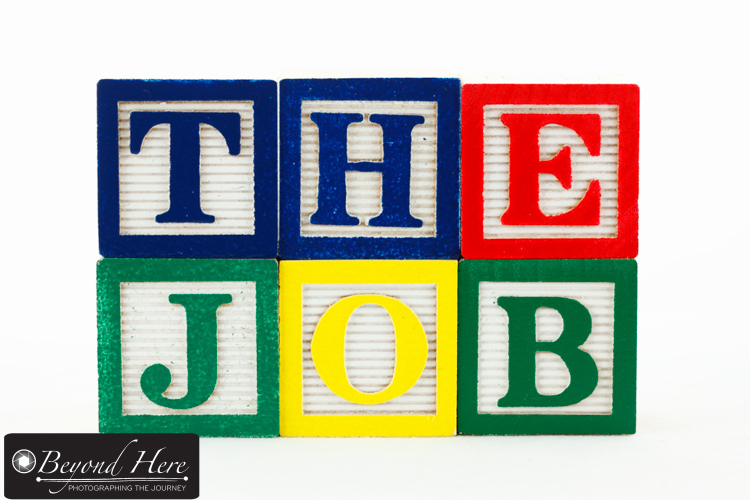 When you preparing for your first job, think about your client experience and take the time to explain the process to them. If you are doing a family portrait shoot, plan your time from beginning to end, and explain the process to the client. This might include the date and time of the shoot, advice to the client on wardrobe, the time-frame you expect to deliver the final images, what the client needs to do about image selection, and when final products will be delivered. The key is to be able to explain this to your client so that they know what is happening. 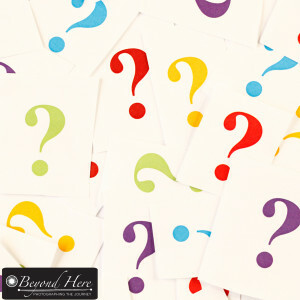 There is nothing worse than hearing a story where a client doesn’t know when their images or albums will be delivered. Keep the client informed, manage their expectations, and deliver to those expectations. Tip #2 – Back Up Your Images. Ok – boring tip alert! I haven’t heard from anyone who has had a gear failure and lost the images from their first photography job. Hopefully it won’t happen to you. To guard against this, back up your images in multiple locations. You don’t want a couples wedding images only on your laptop. If your laptop gets stolen, then you have a very uncomfortable discussion coming up with your clients. I keep my images on my laptop, an external hard drive, and an offsite storage facility. Be boring, back up your images. It is worth avoiding a very uncomfortable conversation with your client. Tip #3 – Visit the Venues. This is a very obvious and very important tip. If you are shooting a wedding you need to have visited the venues for the ceremony, reception, and any other venues you are using. If you are shooting an outdoor family portrait – visit the location and consider the different backgrounds you could use. What will you do if the weather is bad? What lighting conditions are likely? What equipment will you need? Visit the venues in advance so that you know how to handle different conditions. Making it up on the go isn’t a good idea. Tip #4 – Different Lenses, Different Looks. Be ready to use different lenses to create different looks. If you are shooting an outdoor family portrait, you will get a different look from a 50mm prime lens, than you will with a 70-200mm lens. Use different lenses to create different looking images. This will ensure your client has a range of images to choose from, and increases your likelihood that they will want to purchase prints, albums or other products. Tip #5 – Manage Yourself. On the day of your first shoot it is likely you will be nervous. Consider how you will perform at your best. Got all your equipment ready the night before? Got a full gas tank in your vehicle? Formatted your memory cards? Think through what is going to get you ready to deliver an excellent client experience. Tip #6 – Plan Your Timings. It comes with experience to know how much time you need. When I’m shooting the bride and bridesmaids getting ready for the wedding, experience has taught me how long I’ll need to get a range of top shots. I’ve got a good idea for the minimum time I need, the ideal amount of time, and what is too much time. Without this experience, you will need to plan and then allow a little longer. You will also need to consider the time to travel between locations if its a multi location shoot. Don’t cut it too tight. Having appropriate time will help produce good images. Tip #7 – Learn From This Shoot. Finally, go easy on yourself! On your first shoot, don’t expect that everything will go perfectly and to produce award winning images. That shouldn’t be your goal. Aim to have a satisfied client who will promote you and your work. When the shoot is finished give thought to – what went well? what could have gone better? how could you deliver an even better client experience? what is your assessment of the images you created? how could they be stronger or more diverse? 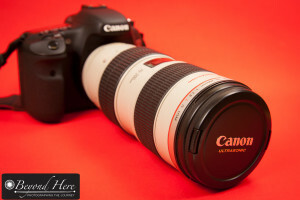 Your first paid shoot is a great place to develop your skills and your client experience. Take the time to learn from this shoot. I hope ‘more tips for your first photography job’ have been useful. If you have any questions, please comment on this post. I will be happy to try and answer them. Good luck for your first photography job. This entry was posted in Business Tips on October 23, 2014 by Craig Dingle. ‘Great Reads’ is a section I have recently started on Beyond Here which provides you with a series of reviews of photography books. Today’s post looks at a series of books called ‘The Digital Photography Book’ by Scott Kelby. There are several books in this series – 4 that I have read. They can be bought individually or as a set. What is it about? The Digital Photography Book series provide a series of short, sharp tips for how to make particular images or how to tackle a style of photography. Want to know which settings will suit a football game? The answer is in the book. Want to know how to overpower the sun when shooting outdoor wedding portraits? Kelby shows you how. There is a wide range of content – from how to set up a studio, to landscape, wedding, travel, sports, portrait – the list goes on. I particularly liked the section on how to set up a studio, and used the advice in this series to build my studio. What can you expect? A really fun series of books! There is no getting caught up in technical detail here. Kelby has a very good sense of humor and isn’t afraid to use it! His chapter openings are particularly light-hearted and funny. The approach he has taken is to assume you are on a shoot together, and to provide practical advice in the same way he would to a shooting buddy. No technical overload – just simple direction and instruction on how to make a certain image. If you find technical talk confusing – don’t worry, this series of books is very easy to read. Visual content? Lots! These books have an extensive range of images with commentary to match. Because these books cover a very wide range of content there is bound to be something in it which interests every photographer. The material is presented in ‘bite sized’ chunks with a topic, an image, and instruction. Outcomes? 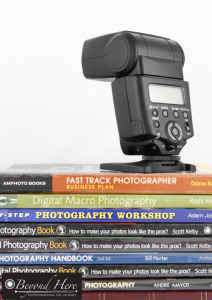 These books are very useful if you have ‘generalist’ photography interest. Rather than being a very detailed review of a specific area, they have a light touch on a very wide range of content. This makes them an ideal reference. I refer to them when I am looking at a different area of photography, or wanting to make a different style of image. Beyond the useful content, they are very funny, and remind me that this business is fun. Rating and Recommendation? These books are very easy to read, and because of the way they are structured, are ideal for ‘dipping into’ when you need. They are ideal if you have a broad range of photographic interests, or are considering which area of photography you want to specialize in. The tips are simple and effective, and have saved me many hours of trial and error. They are well presented, contain some great images, and are very easy to read. 8 out of 10. If you are interested in purchasing these books, please follow the links to Amazon on this blog. Thank you for reading Great Reads – Digital Photography Book. This entry was posted in Great Reads on October 17, 2014 by Craig Dingle. 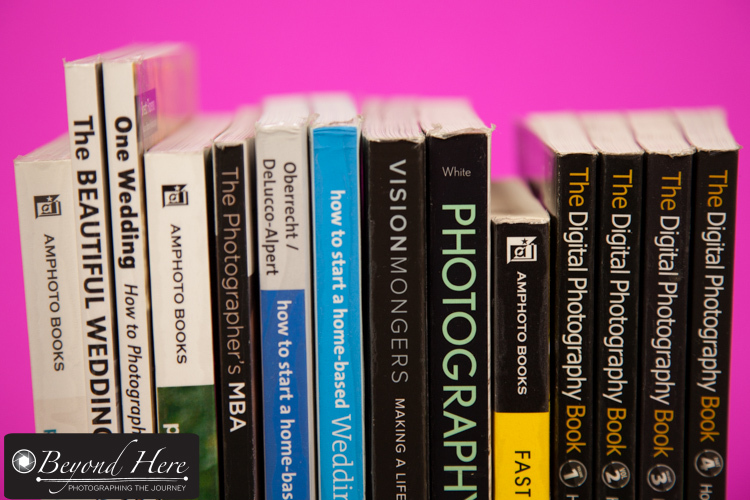 This post in ‘Great Reads’ looks at a book which features poses for wedding photography. Its full name is ‘Design Aglow Posing Guide for Wedding Photography’ by Lena Hyde. I recently ordered this book from Amazon and have enjoyed reading it. This brief review is to help you decide whether it might be useful to you. Thanks for reading Great Reads – Wedding Photography Posing. What is it about? As the title suggests, this book is for wedding photographers and looks at the challenge of posing your subjects. It contains 100 different poses and is set out in an easy to read format. With such a broad range of poses and images, there will be new ideas for you in this book. What can you expect? Great images and interesting ideas! Each idea is set out across a double page with a strong image and text to explain. It is divided into sections so you can choose whether you want to look at ideas for brides, grooms, brides and grooms, or the wedding party. This makes it easy to use and a handy reference. I particularly like that the text explains the pose, but also offers 2 or 3 alternative images you could take with the same pose, or as the subject moves on from the position shown. They are very handy tips for turning one good shot into 3 or 4 good shots. This book sticks to its title and focuses on the art of posing. It is light on technical information, but does include the camera settings for each of the featured images. Visual content? Lots! This book has an extensive range of images. With that range comes brides, grooms and wedding parties of all different styles. Such a large range of visual content makes this book useful for the photographer to review to get fresh ideas. It is easy to read and just as easy to flick through to find an inspiring image. Outcomes? This book is very useful for looking at different wedding photographers images and to consider how they have posed their subject. I am going to use this book to help me with fresh ideas, and also to share with my clients. I am going to ask my clients to look through the images and to highlight the style of images which they prefer. This will help me to make sure I understand the style of image my client is looking for. This will be very handy, and will compliment sharing my own images with them. Rating and Recommendation? This is a good book and sticks to the topic of poses for wedding photography. I recommend it for new wedding photographers, or more seasoned photographers who are looking for fresh ideas. It is well presented, contains some great images, and is easy to read. 8 out of 10. Thanks for reading Great Reads – Wedding Photography Posing. This entry was posted in Great Reads, Photography Tips, Wedding Photography on October 1, 2014 by Craig Dingle.